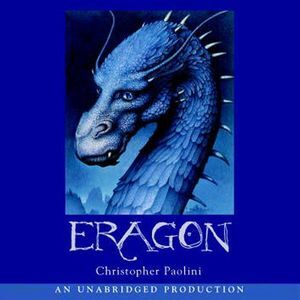 An audio drama based on the best selling book, "Eragon" by Christopher Paolini. A while back, I wanted to make an animated mini-series based on "The Inheritance Cycle"... until I remembered I can't draw humans, massive armies or battles, etc. So I recently decided on the next best thing: An audio drama. Harking back to the 50's and 60's, this audio drama will come complete with different actors, sound effects, and a musical score. Synopsis: When a simple farm boy discovers a mysterious stone, his world is turned upside down. With only a young dragoness and an old storyteller to guide him, Eragon sets out on a quest that will determine the fate of Alagaesia itself. Eragon's dragon, Saphira is wise beyond her years thanks to ancient dragon instinct, and often gets Eragon out of trouble when the need arises. She is everything a dragon needs to be: Fierce, beautiful, and loyal to all good in the world. Appearance: Shining sapphire blue scales, blue eyes. Voice: A mellifluous female voice. Surprise me. (deadpan) "If anything happens, I'm going to pin you to my back and never let you off." (irritated) "Tomorrow you will ride me, not that pitiful deer-animal you call a horse, or else I will carry you in my claws. Are you a Dragon Rider or not?" (inspiring) "Remember what you said in the Spine? How you reminded me of my duty as a dragon, and I returned with you despite the urging of my instinct? So, too, must you control yourself. I thought long and deep the past few days, and I realized what it means to be dragon and Rider. It is our destiny to attempt the impossible, to accomplish great deeds regardless of fear. It is our responsibility to the future." Appearance: White skin, brown eyes, brown hair. Voice reference: Look to Logan Lerman (Percy Jackson), William Moseley (Peter Pevensie), or Josh Hutcherson (Peeta Mallark) for inspiration. Accent: Either American or British. (panicking) "Okay, I'm in the Spine in the middle of winter with a crazy dragon, unable to walk or find shelter, and night is falling. I have to get back to the farm tomorrow. And the only way to do that is to fly, which I can't endure anymore. (Deep breath) Oh, I wish Saphira could breathe fire." "That's the problem! I've been choosing male names! You're a SHE!" (deadpan) "I love you, too." The narrator of the audio drama. Either male or female, with either an American or British accent. "Wind howled through the night, carrying a scent that would change the world. A tall Shade lifted his head, surveying the trap he had laid. He looked almost human, if not for his crimson hair, maroon eyes, and deathly pale skin." "Eragon recoiled in shock. Standing in front of him... was a baby dragon..."
The princess of the Elves of Du Weldenvarden, Arya was captured and tortured by Durza on her way escorting Saphira's egg to the Varden. She is eventually rescued by Eragon and Saphira, with help from Murtagh as well, from the city of Gil'ead. Though in a healing trance, she tells Eragon the whereabouts of the Varden through telepathy. Apperance: White skin, green eyes, black hair. Voice reference: Natalie Portman (Padme) or Anne Hathaway (Jewel, Catwoman). Accent: Something slightly Middle-Eastern-ish or something. "Farewell, Eragon, Shur'tugal... my life is in your hands." "I claim the right of trial by arms. Draw your sword." "When you warned Saphira of Durza, I was still trying to remove her damaged armor. It was too late to slide down Vol Turin. Durza would've killed you by the time I got down. So I did the only thing to distract him.." (regretfully) "I destroyed the Star Sapphire." A Shade servant of King Galbatorix, Durza is the main antagonist of this story. He captures and tortures Arya, who had sent Saphira's egg to the Spine, unbeknownst to him. He leads the final assault on Farthen Dur and is killed by Eragon by a stab through the heart, the only way to kill a Shade. Appearance: Pale skin, maroon eyes, scarlet hair. Voice reference: Jude Law (Pitch) or Ralph Fiennes (Voldemort, Hades). "After her! She is the one I want!" "Do you really think to defeat me, Du Sundavr Freohr? What a pitiful name. I would've expected something more subtle from you, but I suppose that's all you're capable of." (hatefully) "So, my young Rider, we meet again. You were foolish to escape from me in Gil'ead. It will only make things worse for you in the end." An unexpected ally of Eragon's, Murtagh helped drive off the Ra'zac away from Eragon, Saphira, and Brom. He helps Eragon and Saphira rescue Arya from Gil'ead and get her to the Varden in the Beor Mountains. However, can he be trusted, considering his lineage? 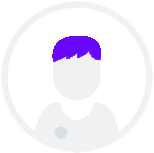 Appearance: White skin, brown hair, grey eyes. "A Shade?! in that case, perhaps I should've waited. We were going to wait until the watch changed, but delaying even that long is dangerous now. You messed up my plans by escaping yourself." (solemnly) "You have the right to know. I... I am the son of Morzan, first and last of the Forsworn." The teller of tales in Carvahall, Brom was once an experienced Dragon Rider and warrior. That is, until Morzan killed his dragon, Saphira the First. That sent him over the edge and he killed Morzan himself in revenge. After that, he went into hiding. When Eragon becomes bonded with Saphira the Second, he teaches him the ways of the Rider and helps him on his way to the Beor Mountains. He is killed during an ambush by the Ra'zac. Apperance: White skin, grey eyes, white beard, silver hair. Personality: Wise, intelligent, irritable at times. Voice reference: Jeremy Irons (again lol) or Ben Kingsley (Bagheera, Drago [the dragon]). (solemnly) "Before your grandfather's grandfather's were born, and even before that, the Dragon Riders were formed. To protect and guard was their mission, and for thousands of years they succeeded."